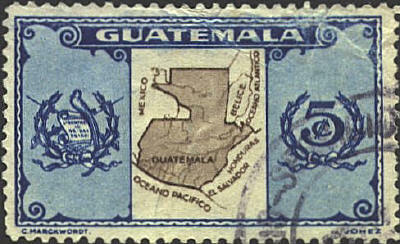 On this Guatemalan stamp issued in 1936 Belice (Belize) lies outside the borders of Guatemala (the shaded area), even though Guatemala claimed the territory. So that is political error. In 1939 Guatemala issued a very similar stamp which did claim the territory of Belize.